CIPA member and author, Teresa R. Funke announces her newest book in her Home‐Front Heroes series for middle‐grade readers. Wave Me Good‐Bye is the story of a Jewish girl in the Bronx who recognizes the seriousness of war when she befriends an English orphan and a Holocaust refugee. Like all of the other books in the series, it is based on interviews with a real woman who lived the experience. 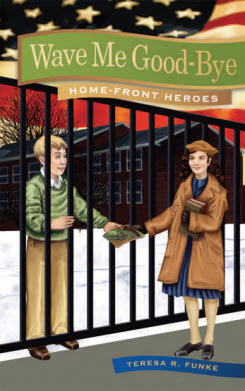 The Home‐Front Heroes books (now four in all) are popular with readers and teachers alike. Find out more about Teresa’s books on her website.